One of the largest online shopping sites in UAE there you can find fashion products, clothes, electronics, mobile phone & tablets, perfumes & beauty products and lot more… Try you love! Such a best website to shop clothes, shoes and bags. But, it also holds a millions of products on home & lifestyle sections. Pay a visit and grab the deal now! One of my favorite online shopping site in UAE for electronics products. However, it has most attractive deals on various products such as fashion items, foot wears, watches, home & kitchen products, baby & kids clothes, accessories, shoes, toys and much more. You can also order grocery items online anytime at Noon. Awok – It’s very famous for one AED deals. There are infinite numerous of product available, such as Home appliance, Electronics, Skin care, kitchen product and a lot of things are available here only. Some of the offers are very unique while compare with the other online shopping sites, that is Clearance sales. And we can able to ship the desire product to, wherever you want all over the world. The cost of the all things are quite considerable, and yet to still consider this no one haven’t face any wrong or damaged deliveries from Awok. Sivvi – Fashion Shopping for Women, Men and Kids. There are millions of products are available to suit your unique needs. Products range from clothing, shoes, bags, accessories, sport shoes, t.shirts and much more. You can buy 100% trust with Sivvi who also operate in Saudi Arabia, Oman, Bahrain, and Kuwait. Shein is exclusive women shopping site for clothing, fashion accessories, swim wears shoes and lot more. Pay a visit and check their hot deals now! A well known and of the best online clearence shopping site in UAE that offers amazing discounts and big offers for wide range of products such as electronics, gadgets, watches, fashion accessories, home appliances, kitchen essentials, toys, office stationary and much more. Here you can find the best deal for electronic products, mobile & tablets, watches, fashion & beauty products, accessories, and lot more. Keep checking HabibiDeal Website for awesome deals & offers. One of the most popular and well known clothes shopping site in UAE for mens, womens babies and kids. Gap offers guaranteed same day delivery in Dubai and there is no delivery charge if you order products more than AED 200. Get amazing deals on laptops, Cameras, Mobiles, Tablets, Fashion, Watches, Games, Books & Toys. Menakart offers Free Shipping in UAE if the value of the order is greater than AED 100. It also offers Free Gift with every product which is greater than AED 500 and the Free Gift is mentioned in the product detail page of the respective product. Zaful, a well shopping sites in UAE having variety of clothing collections for men, women and kids. They also offers swimwear, dresses, sports wear, accessories at most competitive price. Join and get 10% off for your new purchase. Letstango, #1 online shopping sites in UAE for electronics, smartphones, televisions, home appliances, gadgets, fashion & beauty products and much more. You can get exciting deals, rewards for all your purchases. Letstango widely appreciated by many users for genuine products, quick delivery and easy return policy. Another popular shopping sites for fashion & apparels, toys, books, health & beauty products and more. Desertcart offers free delivery, if you order more than 250 AED. Daksha, the online indian ethnic wear store that delivers offers variety of dress materials, Designer Sherwanis, Kurta Pyjama, Pathani Suits, kurtis, sarees, gowns, tops, fragrances, and watches(for men & women). Have you ever been hear this name already? 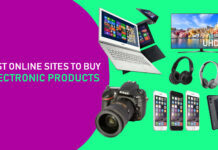 Yes, UBuy – the best shopping site in UAE that sells mobile phones, tablets and accessories, clothing, kids products, home & kitchen items and lot more! Inseller has decent collection of clothing, shoes, accessories, bags, watches for both men and women. Sign up now and receive $25 inseller credits by clicking this link. Lakoki is UAE based online shopping site for women. They offer wide variety of dresses, bottoms, tops, jumpsuits, accessories(bags, bracelets, necklaces), swimwears are available at very fair price. Another leading women shopping site in UAE that offer stylish, trendy and reliable women products such as clothing, and accessories products. Free Cash on delivery and Easy 7 days return policy also available. 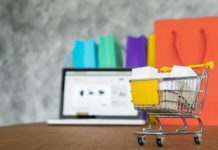 A well known and most popular E-commerce site that offers fashion products, clothes, shoes, bags, accessories, beauty lounge and more at best price. Ounaas offers free two hour delivery for Dubai customers. The Beauty floor is one of the best online shopping site for hair, makeup and cosmetics products for both men and women. Mumz World is the destination for mother and baby care products. It is #1 mother, baby and child site in the middle east and serving UAE (Abu Dhabi, Dubai, Sharjah), Saudi Arabia, Qatar, Kuwait, Bahrain, Oman, Jordan, Lebanon, Bahrain and all over the world. It is paradise for moms, babies and child products. It holds a variety of products range from gear, diapering, feeding, baby essentials, toys & schools, and much more. Free Shipping to all over UAE, Cash On Delivery are also Available. So, why you are waiting? One stop destination for mothers. From clothing to nursery, strollers to feeding, car seats, bath time, gifts and toys products at lowest price. Free same day delivery and cash on delivery option also available! One stop destination for all your kid’s needs. Their broad range covers all stages of a child’s growth, from baby through to pre-teen. And don’t forget to check their combo offers here. 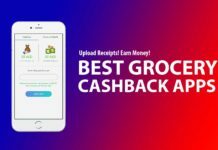 Grocery Cashback Apps – Save More Money!